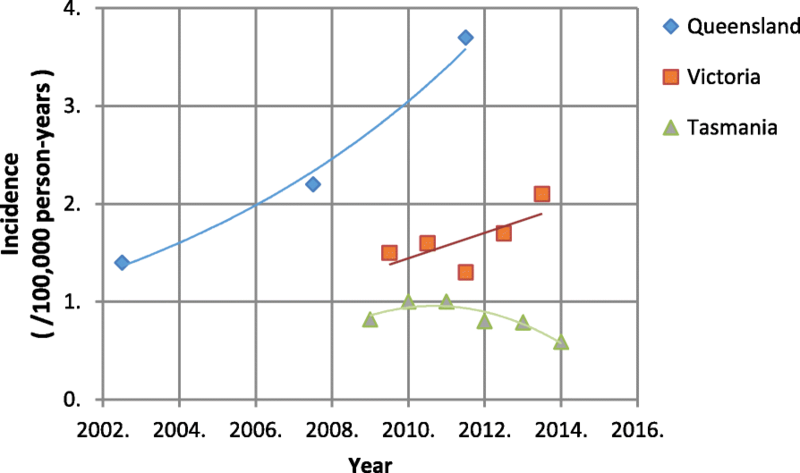 This is the first review of literature and synthesis of data on community onset methicillin resistant Staphylococcus aureus (CO-MRSA) infections in Australia. Incidence of CO-MRSA varies considerably in Australia, depending on geographic and demographic factors. 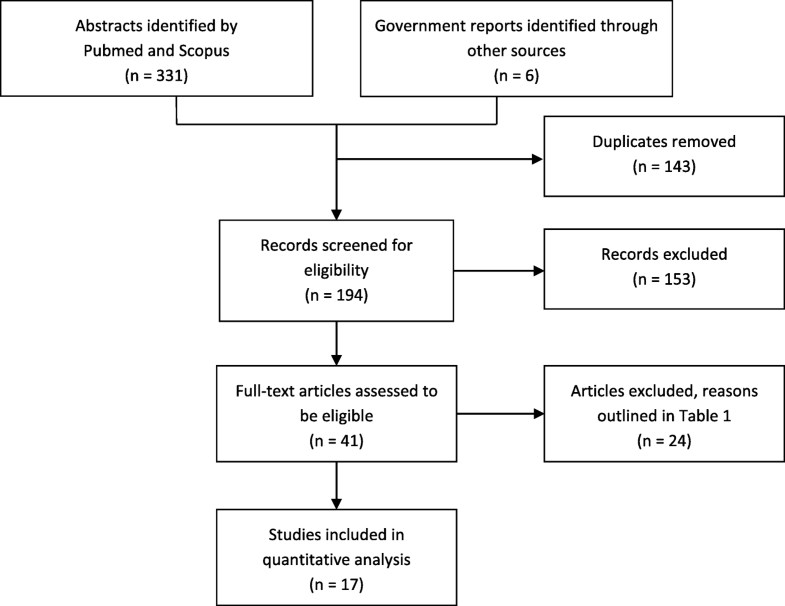 Data for the rates of MRSA infections were collected from articles identified using PubMed, Scopus, the grey literature and data from State and Federal Government Surveillance Systems. We synthesized data and developed a framework for how data was selected, collated, linked, organized and interpreted. The results of our literature search demonstrates considerable gaps in the reporting of CO-MRSA in Australia. Consequently, total incidences were under reported; however the available data suggests the incidence varied between 44 (Tasmania) and 388 (southern Northern Territory) cases per 100,000 person years. Hospitalised cases of CO-MRSA varied between 3.8 (regional Victoria) and 329 (southern Northern Territory). Taking the median percentage of infections by site for all regions available, skin and soft tissue infections (SSTIs) consisted of 56% of hospitalized CO-MRSA, compared with bacteremias, which represented 14%. No region had a complete data set of CO-MRSA infections treated in out-patient settings and so incidences were underestimates. Nevertheless, estimates of the incidence of CO-MRSA treated outside hospitals varied between 11.3 (Melbourne) and 285 (Northern Territory) per 100,000 person-years. These infections were chiefly SSTIs, although urinary tract infections were also noted. Incidences of CO-MRSA blood-stream infections and outpatient skin and soft tissue infections have been increasing with time, except in Tasmania. CO-MRSA is observed to affect people living in remote areas and areas of socioeconomic disadvantage disproportionately. We generated the first estimates of the incidence of CO-MRSA infections in Australia and identified stark regional differences in the nature and frequency of infections. Critically, we demonstrate that there has been a lack of consistency in reporting CO-MRSA and a general dearth of data. The only government in Australia that requires reporting of CO-MRSA is the Tasmanian, where the infection was least prevalent. Some regions of Australia have very high incidences of CO-MRSA. To improve surveillance and inform effective interventions, we recommend a standardized national reporting system in Australia that reports infections at a range of infection sites, has broad geographic coverage and consistent use of terminology. We have identified limitations in the available data that hinder understanding the prevalence of CO-MRSA. Staphylococcus aureus is carried asymptomatically by half (range 29–84%) [1–4] the population and frequently causes minor skin infections. We here generate the first estimate of the national incidence of CO-MRSA infections, by synthesizing data collated from academic literature and government reports. We identify regional differences in the nature and frequency of infection. We recommend changes in measurement and reporting to enable future assessment of key questions. The screening and selection process of the literature review is outlined in Fig. 1 and described in the Additional file 1. We sought studies that published numbers of all infections in a defined region or population and time. We searched the academic literature between January 2000 and April 2016, using PubMed and Scopus and the terms “community” and “onset”, “acquired” or “associated”, combined with “methicillin resistant Staphylococcus aureus” and “Australia”. Furthermore, we sought literature from State and Federal Government Health Department websites and consulted authors and specialists for grey literature. We excluded clinical case studies and studies that excluded adults, did not include data from Australia, began before 2000, did not have a defined period of data collection, required consent from individual patients, or did not provide information on whether the infection onset occurred in hospital or in the community. If more than one data set was available for a region, we included those that excluded infections with healthcare associated risk factors, as defined by Kallen et al. ; or if two data sets used the same definitions for the same region, the most recent was included. “Site” is used to refer to the anatomical site of an infection. “Region” or “area” refers to a geographic space to which a data set relates. “Location” refers to where the patient was at the time of onset of the infection. The data were analyzed for each state or territory. Northern Territory (NT) data arose from two sub regions: The Top End and the Alice Springs region, as shown by the dotted line in Fig. 2 and defined using the Statistical Local Areas from the Australian Bureau of Statistics (ABS) that best reflect the local health districts. Number of infections, denominator population and duration of data collection were required to estimate incidence. Where available, the specified catchment population was used as denominator population. Otherwise, the catchment population or area was sought from state health departments or hospital websites and ABS census data for that area and time period was used. Incidence of BSIs, lower respiratory tract (LRTI) and skin and soft tissue (SSTI) infections were calculated, generally using numbers of infections by site. Total incidences were calculated using total number of patients with an infection. Incidence for infections listed as “other”, musculoskeletal, bone or joint, endocarditis or “of other sterile cavities” were not calculated because of lack of data, clarity or consistency of definitions between publications; however, these infections were included in the totals. The incidence of infections at these sites were expected to be considerably lower than that of SSTIs. Incidence was calculated separately for cases treated as inpatients (IPs), outpatients (OPs) and at emergency departments (EDs). Where necessary, it was assumed that all BSIs and LRTIs were admitted, based on expert advice (personal communication: M. O’Sullivan, January 12, 2016; S. Tong, November 11, 2015 and G. Coombs, October 1, 2015). All studies included in this review specified that the data represented clinically significant isolates and excluded screening swabs, duplicates and repeat cultures from the same patient within 14 days. In two publications, [13, 28] discharge diagnoses for some cases were indicative of a HAIand these cases were excluded. CO infections were generally defined as an infection detected within 48 h of admission to hospital, using hospital records. Many studies also excluded patients with various healthcare associated risk factors from the definition of CO or indicated the number of cases of HAIs included as CO. [19, 20] Some publications excluded specific cases as noted in the footnotes to Table 1, below. Few data were available on CO-MRSA by site of infection, as shown in Table 1, often because site-specific data included nosocomial cases. Criteria for diagnoses were seldom provided; however, one study identified pneumonia using radiographic evidence in addition to a positive culture of respiratory fluids or blood. Generally, BSIs were identified by positive blood culture, with some studies requiring symptoms. SSTIs were usually identified by type of pathology specimen. [14, 28] There was a wealth of data on BSIs, two studies specifically on LRTIs [29, 30] and one on infective endocarditis . Data used to estimate incidence was either: incidence of CO-MRSA, [18, 32, 33] numbers of CO-MRSA infections in a given period of time, [20, 34–36] numbers of MRSA infections and proportions that were nosocomial or CO, with and without HAI risk factors or, finally, the number of CO S. aureus infections and the proportion of those that were MRSA. Total incidences and incidences for hospitalized CO-MRSA infections are presented in Table 2, with percentages of the populations who are Indigenous, who live in remote areas and who live in areas with an average Index of Relative Socioeconomic Disadvantage (IRSD) in the lowest decile in Australia, indicating socioeconomic disadvantage. Table 2; Total incidence and incidence of hospitalized (IP) CO-MRSA infections by site of infection and for various regions, calculated using published numbers of infections over defined time periods. Availability of data was highly regional, with ample data from the central and northern regions, a paucity of data from the most populous states of Victoria and New South Wales (NSW) and no publications from South Australia or regional Western Australia (WA), which neighbor regions of high incidence. Data for BSIs was available for most state or territory capitals and three states, representing over half the population of Australia. Aside from BSIs, approximately a quarter of the population were represented by some form of data: either total CO-MRSA infections, total inpatient CO-MRSA infections or one of SSTIs or LRTIs. BSIs that were secondary to SSTIs or LRTIs were included in Table 2 as both sites of infection, but only once in the total column. Many BSIs occurred simultaneously with infections of other sites not included in this analysis, such as bone and joint infections. Together, SSTIs, LRTIs and BSIs accounted for nearly all patients. Incidence varied greatly by region. The Alice Springs region had the highest rates, with an incidence of inpatient SSTIs four times that of the Top End. The Top End had second highest rates, with incidences over three-fold that of its neighbor, Queensland. The southern-most regions of the ACT, Victoria and Tasmania experienced low incidences of CO-MRSA BSIs. The proportions of infection at each anatomical site in Queensland were similar to the proportions in Alice Springs. Consistent with previous studies a higher incidence of CO-MRSA was observed for locations with a higher proportion of people identifying as Indigenous, those with more socio-economic disadvantage, and those living in more remote locations [15, 37, 38]. The incidence of CO-MRSA infections that were not hospitalized is shown in Table 3. The sources of data on infections treated as outpatients were variously from private community pathology services, state coordinated pathology laboratories or a hospital pathology service. 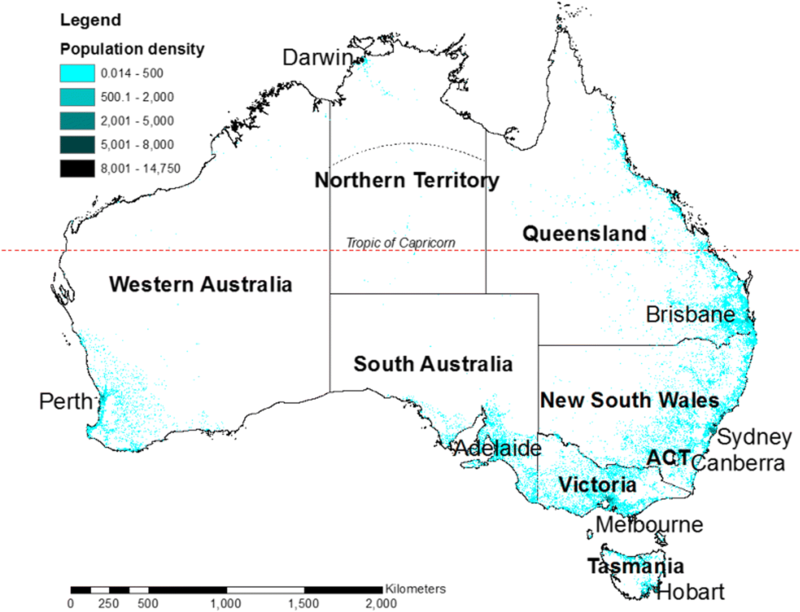 Although limited, the outpatient data suggests similar geographical trends to those observed in inpatients; specifically: high incidence in NT and Alice Springs, moderate in Queensland and relatively low in Melbourne and Tasmania. Most outpatient CO-MRSA cases detected were SSTIs. All presentations of MRSA to ED were considered CO. Only three papers offered data on presentations of MRSA to emergency departments. In regional NSW in 2004, the incidence of CO-MRSA in skin abscesses presenting to ED was 80 / 100,000 person-years. At The Alfred Hospital in Melbourne between 2003 and 2011, the average incidence was 0.6 / 100,000 person-years. 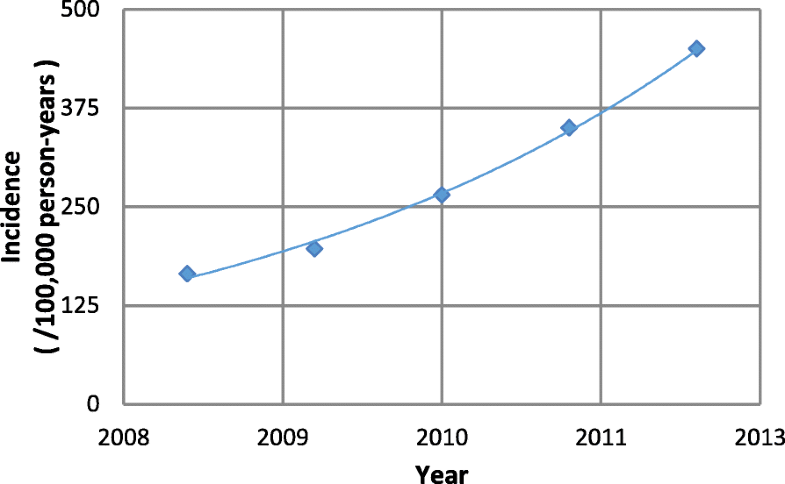 The incidence of CO-MRSA presenting to ED in the Top End was 29 / 100,000 person-years in 2006–7. This estimate required the assumption that all nosocomial cases and colonizations detected were included in the percentage reported as hospitalizations. It was also assumed that those not hospitalized had presented to ED. Methicillin resistance is only identifiable by pathology services and so all data used were from or linked to pathology databases. The multiplicity of care-seeking behaviors resulted in some patients’ infections being detected by a pathology service that did not reflect their admission status or being registered by more than one pathology laboratory. Some data coming from hospital pathology laboratories are from patients presenting to and receiving treatment in primary care. Similarly, some patients whose infections were identified by community pathology services were admitted. Assuming all BSIs are hospitalized, slightly less than half of all CO-MRSA BSIs in Melbourne initially presented to ED, based on the incidences above. Some incidence data were available for multiple time points. A study by Tong and colleagues  gave outpatient incidences at multiple time points in NT (S. Tong, personal communication, January 20, 2016), as shown in Fig. 3. Figure 4 presents the incidence at different time points of BSIs in Queensland, [13, 14, 35] Victoria,  and Tasmania . Additionally, the incidence of all CO-MRSA infections in Tasmania increased from 39 in 2008 to 49 /100000 person-years in 2009. Except for BSIs in Tasmania, there appears to be an increasing trend with time in the incidence of CO-MRSA infections, both in inpatient and outpatient cases. Incidence of CO-MRSA in parts of Australia is comparatively high. In 2011, a cross-section of localities in the United States had adjusted incidences of CO-MRSA of 5.3 (total) and 4.8 (inpatient) per 100,000 person-years. The definitions of CO and HAI used in the US study more closely resembled that of the Perth-Fremantle study, where rates were lower. However, in the US study, the total incidence of all CO, with and without healthcare associated risk factors, both crude and adjusted was comparable to Queensland, which excluded patients with the key HAI risk factors, and was much lower than the NT rates. Laupland and colleagues  found that in the period 2005–2008, various regions in Scandinavia and Canada had adjusted incidences of CO-MRSA BSIs of, respectively, less than 0.3 and between 1.8 and 5.4 infections per 100,000 person-years, while the ACT had an adjusted incidence of 2 per 100,000 person-years, which was amongst Australia’s lowest. Health system structure and availability and care-seeking behaviors may explain differences in incidence between regions. Alice Springs experienced considerably higher inpatient incidence than the Top End, possibly because access to outpatient care was limited for patients who lived remotely in southern NT. This may also account for the considerably higher incidence of CO-MRSA SSTIs presenting to ED in rural NSW compared with the incidence of all CO-MRSA presenting to ED in the Top End. Most CO-MRSA infections were not admitted to hospital. In Queensland, the outpatient data were incomplete, nevertheless the outpatient incidence was 2.5 times that of inpatient incidence. Uniquely, a publication from Tasmania captured all CO-MRSA infections in the state - but did not distinguish whether cases were admitted or not. If, however, we assume that the ratio of BSIs to total inpatient infections in Tasmania was the same as in Queensland, then the incidence of outpatient CO-MRSA was 4.5-fold that of inpatient CO-MRSA. Essentially all CO-MRSA treated as outpatients were SSTIs and a significant majority of admitted cases were SSTIs, except in Perth. This suggests that surveillance of CO-MRSA SSTIs is warranted. The incidence of LRTIs relative to BSIs varied by location, perhaps because different criteria were used to identify infections or difficulties in collecting pathology samples. CO is now defined by the Centers for Disease Control as infections that occur within 72 h of admission; however, only one of the studies met this definition. There was a paucity of data in the academic literature, particularly on key indicators of morbidity such as site of infection and admission status. Lack of specificity in reporting CO infections has resulted in the inclusion of community onset infections both with and without healthcare associated risk factors in the data used to calculate incidences. 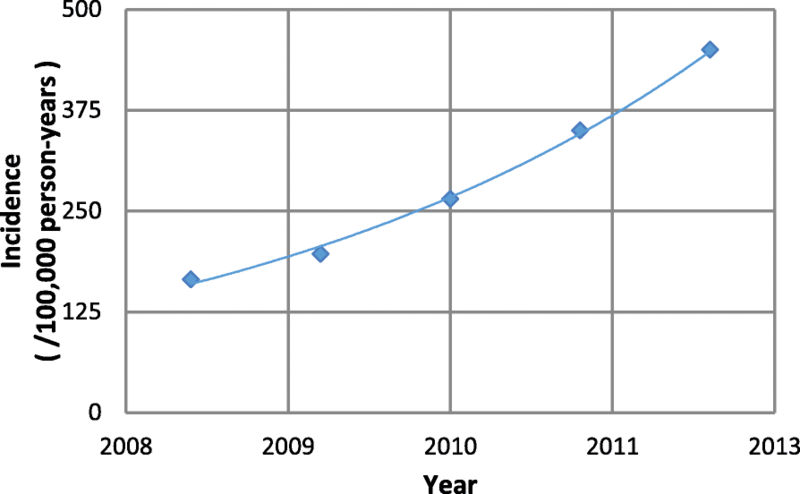 Most publications lacked a breakdown of the number of infections by anatomical site. Given the difficulty of obtaining pathology specimens from patients with LRTIs, the number of cases of CO-MRSA LRTIs was probably a significant underestimate. For SSTIs, data were available for the absolute number of MRSA isolations. However, the denominator number of tests was typically not reported or available and hence it is not clear the degree to which changes in the incidence of isolation of MRSA is related to changes in testing practices. Most studies used data from pathology departments of public hospitals; however, a key indicator of a patient’s morbidity is whether they were ultimately admitted to hospital, [8, 39, 40, 42] which is not included in most pathology data sets. Therefore, to determine final admission status, pathology data needs to be linked to hospital records. Alternatively, assumptions can be used to estimate the proportion of cases of SSTIs and urinary tract infections (UTIs) that were hospitalized. In Queensland, patients’ admission status at the time a positive pathology sample was collected was used as a proxy for whether an SSTI case was hospitalized, thus overestimating the proportion of outpatients and underestimating inpatients. As the community clinic system is multifarious and multiple private pathology services exist, no study captured all and only cases that were treated in the community. The multiple pathology services mean that, except in Tasmania, the ED and outpatient data reported were incomplete and underestimated the burden, leaving most infections unrepresented by the available data. To understand the true burden of CO-MRSA, a national reporting system is required. Surveillance ought to be geographically comprehensive, since populations with highest prevalence are often the most difficult to survey, being remote and small in size. Cases treated in primary care settings need to be captured as a large proportion of infections are not admitted to hospital. Currently available data focusses on BSIs; data collection needs to take in different infection sites and types to fully recognize the burden of disease. Finally, all information should be shared and available for analysis. In many states, HO or HAI MRSA is notifiable, suggesting that CO cases presenting at hospitals must be vetted for location of onset. This vetting process produces valuable information on CO infections that is not utilized currently. Consistent terminology would also be advantageous. “Community-associated strains” continues to be used, although these strains are no longer associated with community acquisition [6, 14, 15, 44] and international recognition that it is inaccurate terminology. The terms “multiresistant” and “non-multiresistant MRSA strains” are widely understood and highlight the significance of these strains. We identified a paucity of data, a lack of consistency of definitions and highly regionalized data collection, resulting in an absence of information on the prevalence of CO-MRSA in populations where it is expected to be highest. Data on the most prevalent type of infection, SSTIs, were sparse, particularly in outpatient settings. Reported incidence of CO-MRSA was high compared to other, demographically similar countries. Consistent, nationwide reporting of CO-MRSA cases is necessary to understand its true incidence and plan control strategies. We recommend requirements for reporting MRSA, including the reporting of a wider range of infection sites, better geographic coverage and consistent use of terminology. The authors wish to acknowledge the helpful conservations and technical assistance of Catherine Bennett, Geoff Coombs, Brett Mitchell, John Ferguson, Matthew O’Sullivan, Janet Strachan, Alistair McGregor and the Tasmanian Infection Prevention and Control Unit, Teresa Wozniak and Louise Barnsby. This research was supported by NHMRC grant GNT1027589. The NHMRC played no role in the design of the study; nor collection, analysis, and interpretation of data; nor in writing the manuscript. SYCT is a NHMRC Career Development Fellow (#1145033). All data generated or analysed during this study are included in this published article, the cited references and the associated supplementary information files. KH conceived the idea for the review. JKC analyzed and interpreted the literature with assistance from KH and LH. JKC wrote the manuscript with assistance in editing from KH, SYCT and LH. DLP and SYTC provided important intellectual content. All authors read and approved the final manuscript. Australian Bureau of Statistics. Census data. 2011 [Accessed 08 March 2016]; Available from: <http://abs.gov.au/websitedbs/censushome.nsf/home/data>. Australian Bureau of Statistics. Census data. 2001 [Accessed 08 March 2016]; Available from: <http://abs.gov.au/websitedbs/censushome.nsf/home/data>. Australian Bureau of Statistics. Census data. 2006 [Accessed 08 March 2016]; Available from: <http://abs.gov.au/websitedbs/censushome.nsf/home/data>.